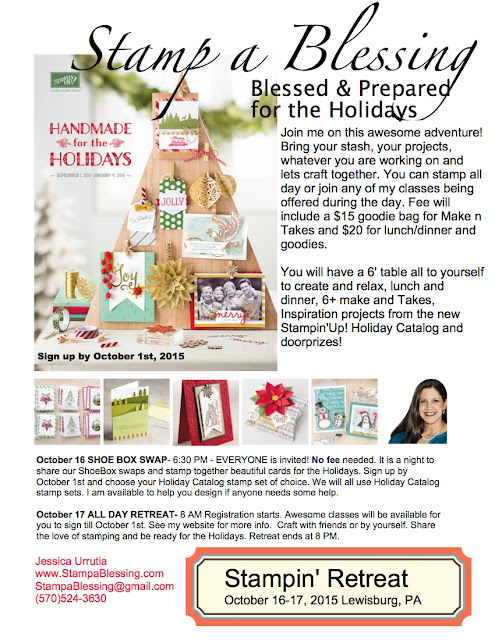 Stamp a Blessing: Stamp a Blessing Retreat is Here! Since I started with this awesome company I've always wanted to offer a Retreat for my stampers as an amazing way to connect and inspire one another. My ladies are so creative! I just love being around them. They inspire me! Please consider sending me a short message if interested asap. This will NOT be at my studio. It will take place in a larger venue and I am super excited that the doors were opened wide for us. I cannot wait for October to get here.